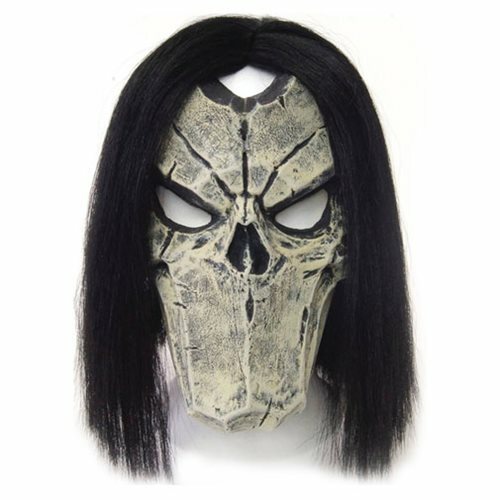 To celebrate the remake of Darksiders II for PlayStation 4 and Xbox One, Gaya Entertainment has created a highly detailed replica of Death's face mask. Now it's time to become Death Himself! Impress your friends with this high quality latex face mask and give your cosplay costume the final touch. Created by professional 3D artists and Darksiders II fans, this beautiful piece of art leaves no detail unnoticed. Comes with a flexible headband to secure a tight fit and features a separate wig.